Jimmy Beans Wool celebrates Ten Years in Reno! 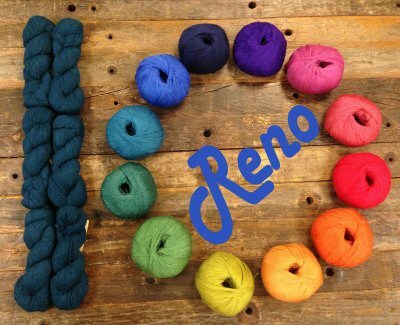 Can you believe Jimmy Beans Wool has been in Reno for ten years now? 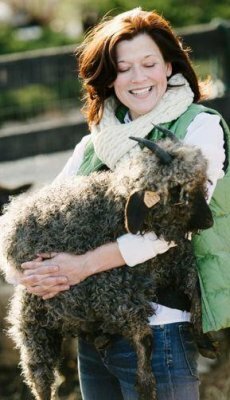 Join us for our 10th anniversary celebration with the owner of Jimmy Beans Wool - Laura Zander - and Susan Gibbs of Juniper Moon Farms! It's too warm out for a normal tea party, so we're putting it on ice! We'll have treats and iced tea, as well as yarn craft demonstrations, presentations by Laura and Susan, a free class with Terry, giveaways and more! If you haven't toured our warehouse yet, we'd love to show you around! And of course there's always the shopping! 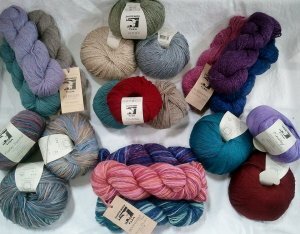 We'll have a display of all the gorgeous yarns we're carrying from Juniper Moon, and lots of new yarns in the shop to check out. We know many people loved our yarn hot tub, but we've got a new "photo opportunity" to introduce in July and you'll be among the first to see it! The first 25 customers to RSVP will receive a goodie bag! Let us know if you'll be joining in the fun by emailing us at the store. Please let us know if you plan on attending the main event, the class, or both! Terry's free class will get you started on the Cortland Fingerless Mitts using Juniper Moon's Findley. It's available as a free download on ravelry.com if you want to check it out before the class! Bring your DPN's in size 2 to participate. If you are among the first 25 to RSVP, you'll get a ball of Findley yarn in your goodie bag! Otherwise, we have a range of colors available for purchase, or you can substitute in your own lace weight yarn. Questions about the class? Let us know with your RSVP or ask Terry at her Ask Terry Email. Reno has been so good to us; we hope you'll join us for this celebration so that we can show our appreciation in return! Iced Tea Party: iced tea and treats will be served! Susan speaks about her journey from network news in New York to buying a sheep farm and joining the yarn world! Please bring size 2 DPNs for the class. Findley yarn will be provided for the first 25 people who RSVP, or you can bring lace weight yarn to use, or purchase some here! Registration: Please RSVP if you plan to attend the event and whether or not you plan to stay for the class! RSVP to the shop. Thanks so much to our sponsors for helping us make this event possible! We are looking forward to celebrating ten fabulous years in Reno with all of you!